Do you have queries about air ducts? Find the answers to questions that boggle your mind. Learn which products are best for air duct cleaning, how to install duct wrap and when your dryer vents will actually need repair. 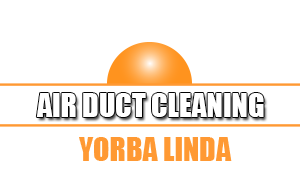 What are the chemicals or cleaning agents used for air duct cleaning? Unless it is a problem with mold and mildew infestation, there are no special chemicals needed to properly clean air ducts. Dusters, brushes, a probing stick, and a vacuum cleaner would usually suffice to satisfactorily clean air ducts. Specialists at Air Duct Cleaning Yorba Linda suggest not using any liquid or water-based cleaning agents especially on metal ducts. Water-based cleaning agents can corrode the ducts or lead to mold growth if they are not properly dried off. What are the steps in installing duct wrap? Before a duct wrap can be installed, prepare the following materials: a clean towel, duct tape, tape measure, utility knife, and an outward clinch stapler. Clean and dry the duct surface that needs to be wrapped. If there are leaks, seal them first with mastic. Cut the wrap into the desired dimensions. Wrap the insulation in the same way adhesive tape is used but with each roll overlapping the other. Staple the overlapping wraps with the outward clinch stapler. When will I need dryer vent repair? Dryer vent repair will ensure that your dryer will operate without problems. Many fires originate from dryer vents filled with lint and dirt. Failure to cleaning a dryer vent would also result to terrible smelling clothes, bad operation and too much energy consumption. The frequency would depend on use according to Air Duct Cleaning Yorba Linda. Commercial places should do it every month but domestic dryer vents would also need to be cleaned twice a year. Is it possible to visually inspect air quality? Sometimes when the afternoon sunlight goes in the window, you can see floating dust particles through the Tyndall effect. Smoke is also a visual representation of pollution, so if you smoke indoors, you can expect your air ducts to have dirt particles. Can mold be removed from the air ducts for good? Yes, this is possible. When the leaks and holes are properly sealed and the ducts are well insulated, the risk of mold will be minimal. The installation of a UV cleanser in the HVAC system will also help to inhibit growth. This is a longer-lasting alternative compared to the addition of protective coating.